Chelsea have announced the signing of Jorginho from Napoli. The Italy midfielder has agreed a five-year deal as the club's first signing of the summer. He will wear the No 5 shirt at Stamford Bridge. 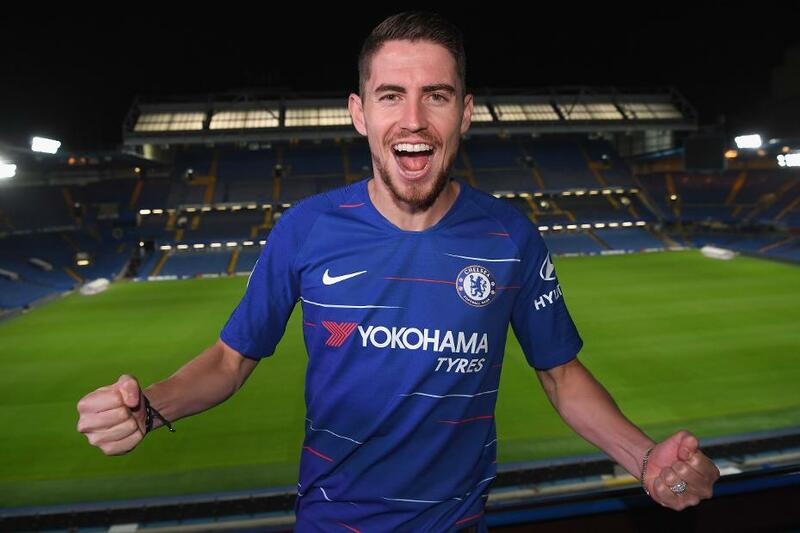 "I am absolutely ecstatic to be here at Chelsea," Jorginho, 26, told Chelsea's official website. "It is not easy to become part of such a big team so I am very, very happy. The deep-lying midfielder made 37 appearances for Napoli in all competitions last season. He scored three goals in 2017/18, including a penalty against Manchester City in the UEFA Champions League. He also got four assists in all competitions. The Brazilian-born player had the most touches of the ball per minute last season in Europe's big five leagues. He rejoins Maurizio Sarri, his head coach at Napoli last season, who was appointed at Chelsea earlier in the day. Chelsea open their 2018/19 Premier League campaign at Huddersfield Town on Saturday, 11 August.